Scottsdale sculptor Gedion Nyanhongo with his artwork in at the Celebration of Fine Art in Scottsdale. Cary Henrie, from Bountiful, Utah, with his artwork in at the Celebration of Fine Art in Scottsdale. 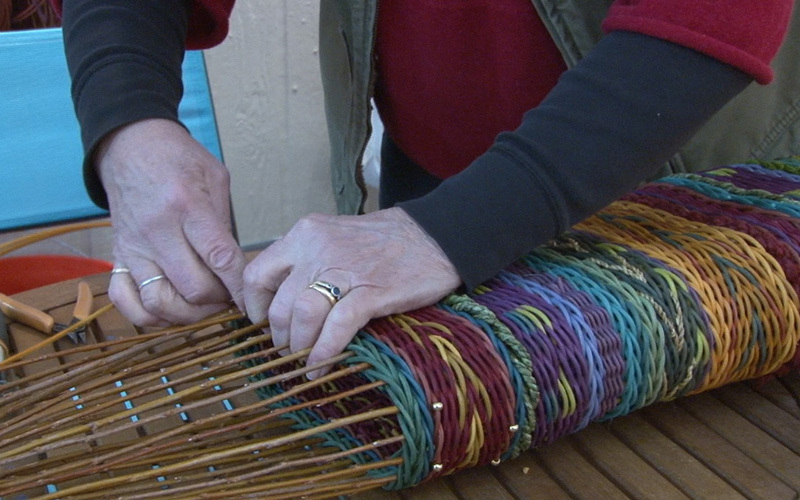 Marilyn Stevens, a weaver from Montana, works on her craft at the Scottsdale Celebration of Fine Art. 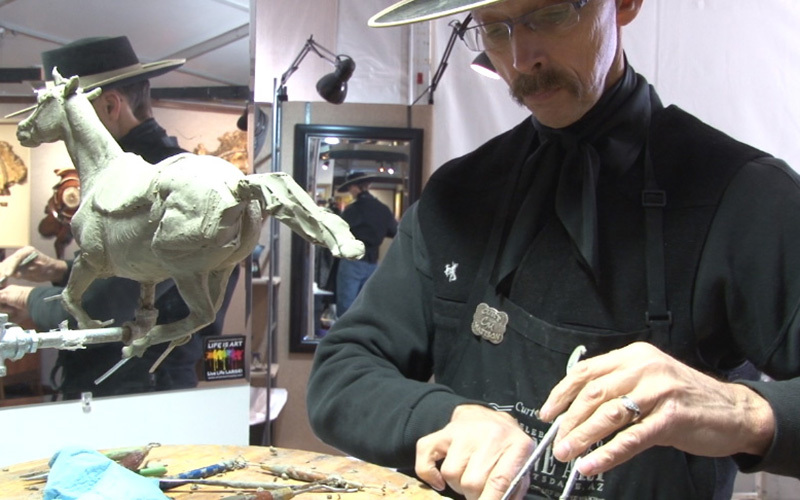 Scottsdale – Fine artists in Arizona on average make more money annually than artists in any other state, according to data from the Bureau of Labor Statistics. Arizona sculptors, painters and illustrators made an annual average salary of $95,600 in 2014, making the state the highest paying for that occupation, followed by New York at $75,940. The annual average salary for fine artists in the United States is $51,120. Arizona State University professor James White, who has created art for the past 50 years, said he thinks the reason Arizona artists came out on top has to do with the kind of people who reside in the state. 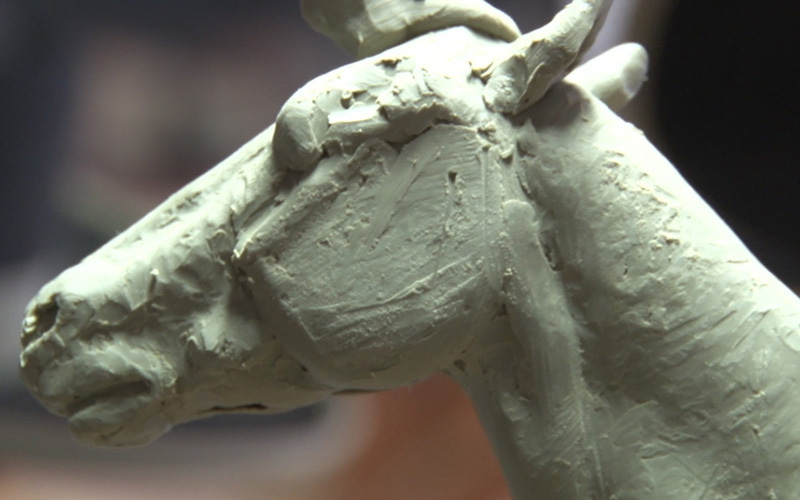 “There are a lot of people with disposable incomes in Scottsdale, and it’s the people with disposable income that collect art,” said White, a sculptor and neon artist. However, the labor statistics only tell part of the story. The data compiled only accounts for 110 fine artists who reside in Arizona, and this figure leaves out the majority of self-employed artists, one expert said. Wilcox said the data fails to include art directors, writers, crafters, animators, designers, entertainers, dancers and musicians. The Bureau of Labor Statistics lists the relative standard error of their surveying at 25.7 percent. The smaller the percentage, the more precise the statistic, according to the bureau’s website. Although experts may debate on the reliability of the statistics, several fine artists who have travelled to Scottsdale for the Celebration of Fine Art said they find Arizona to be a profitable state. Mark Goodson, 57, an artist from Huntsville, Utah, said he thinks the weather attracts people – and their money – to Arizona, resulting in more sales. “I think it has a lot to do with the fact that Arizona has a lot of sunshine to offer,” he said. Goodson is among the 100 artists selling their pieces at the annual event, which showcases pop-up studios of fine artists. The daily event began on Jan. 16 and runs through March 27. Goodson, who has painted for 10 years, sells his pieces for $10,000 to $15,000. Larger paintings can take Goodson 175 hours to complete. 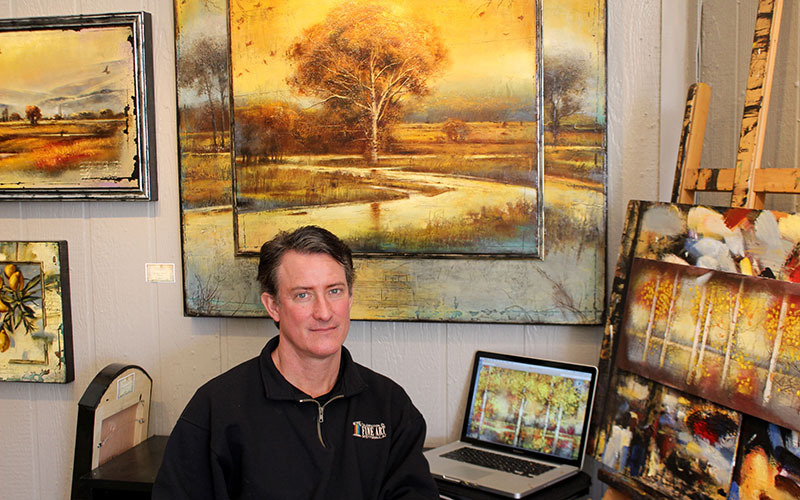 Goodson sells his pieces online, in his own studio in Utah and at events like the Celebration of Fine Art. “In the short term, I can sell more paintings at an event like this than in my studio,” Goodson said. Cary Henrie, 55, from Bountiful, Utah, also travelled to Phoenix to sell at the event. He said selling art requires more than just a creative mind. “You need to be both artistic and have a business mindset: That is the key to success,” Henrie said. Henrie has made a living on his art alone from the first time he sold a painting when he was 16. Henrie takes about a week to complete each piece, and he uses a multitude of media, including wood, plaster and canvas. He sells prints of his work starting at $50, and his original pieces are priced up to $10,000. 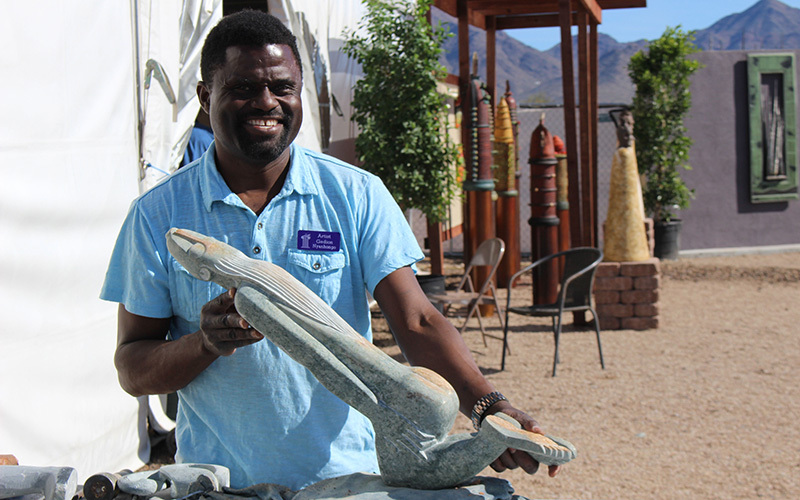 Scottsdale sculptor Gedion Nyanhongo, 48, who has showcased his work in countries around the world, said he believes winter visitors lead to the high salary of Arizona artists. Using only hand tools, Nyanhongo creates sculptures from stone that take him up to three years to complete. His pieces sell for $25,000 to $54,000, with his most expensive commission selling at $125,000. “I’ve been making art since I was age 9, when my father and I worked a gallery together in Zimbabwe,” Nyanhongo said. 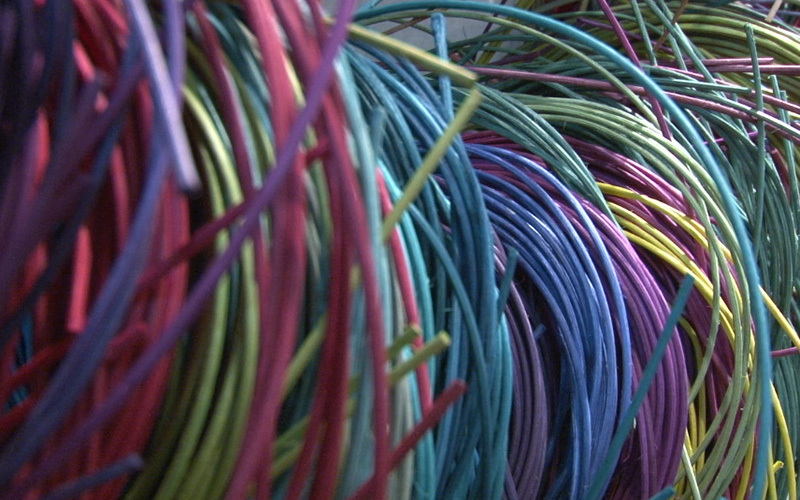 The Celebration of Art in Scottsdale runs daily from 10 a.m. to 6 p.m. at Loop 101 and Hayden Road.